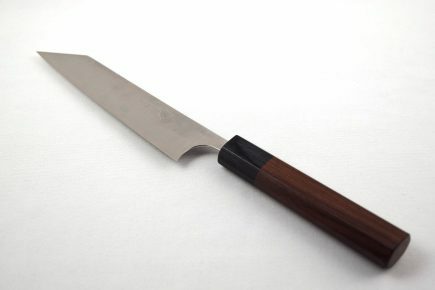 Kajiwara Aogami Nakiri knife with a 165mm blade. 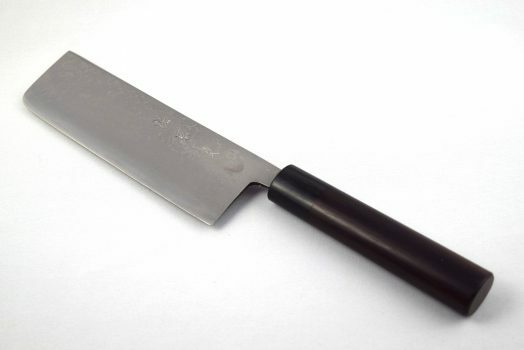 The Kajiwara Aogami range is made out of an Aogami 2 (blue paper steel) carbon steel in a nice damascus finish The knives are not clad in stainless steel so they are subject to tarnishing. 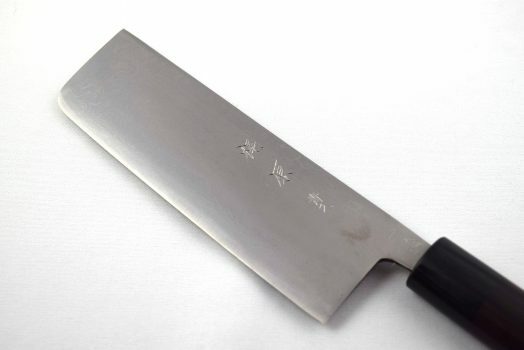 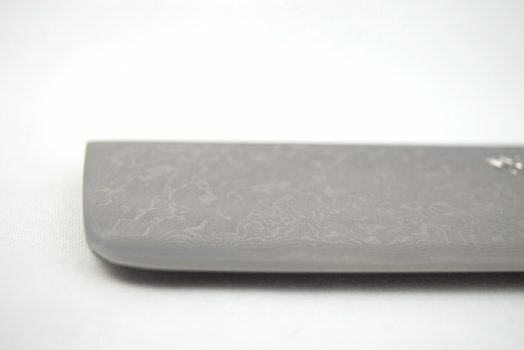 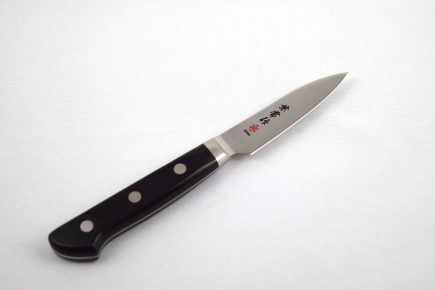 Aogami #2 is well known for durability and is a very popular steel for high performance hand made Japanese knives. 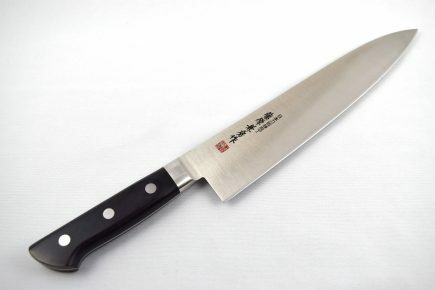 The oval rosewood handle provides a good grip and a fantastic look. This knife is a workhorse in any busy kitchen environment.